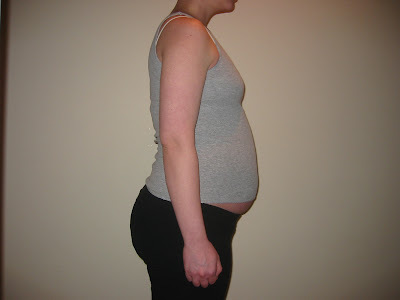 im 29 weeks pregnant. above is picture from last weekend. today is sunday and ive been relaxing all weekend. ive been having a few aches and pains for the past few days, and have been exhasted! i had all intentions of continuing the 'big clean' of baby's room, but im at the point that i need doug's man power. our closet is a disaster and the furniture needs to be re-arranged. on a positive side: all the papers are filed and ive used all office storage boxes as planned. we are getting there. doug has been working all weekend. i saw him this morning for about 2 hrs. luckly, this weekend working thing is not typical and after today it should be over (at least for a few months)...so hopefully, we will make the room presentable before the baby arrives.